Looking for private in-home or in-studio Organ lessons? Our Huntington teachers are ready to get you started. Find your teacher today! Beginner to intermediate. Organ lessons are offered at the student's home. There is not an organ In-studio. Education:1996-1998 Studied at Berklee College of Music in Boston. Completed studies in composition and arranging with teachers: Donny Nolan, Phil Wilson, Dan Moretti. Majored in piano performance with teachers: Joanne Brackeen, Kenny Werner and Lyle Mays. Graduated and received Performance Major Diploma in Music. 1989-1991 Studied at the YAMAHA Music Academy in Japan. Music theory with teachers: Yutaka Masuda, Yoko Nagata, Kiyomi Ishikawa and Yoshiko Mizuno, as well as electric organ and Suzuki piano performance with: Kazue Nishiwaki, Yutaka Masuda, Yoshiko Mizuno and Schwekendiek Donald Robert.Received license of teacher. 2005- Received a grant from Philadelphia Music project (Painted Bride Art Center) Grant for jazz jaunts a project in which seven jazz artists will compose and premiere compositions that incorporate musicical traditions from trier cultural roots, spanning South Africa, Cuba, Brazil, South India, Iraq, Japan, and Jewish Diaspora. Teaching:2003- 2010 Teaching group and private lessons on piano at Florentine Music School in NYC. 2005- Substitute as dance accompanist at 92Y in NYC.1999-2004 Teaching private lessons on piano at Victory Music Studio in Staten Island.1996-1999 Teaching private lessons on YAMAHA system on electric organ and piano in Boston.1991-1996 Teaching group and private lessons and workshop on electric organ and piano for 100 students per week in YAMAHA Music School in Japan. Any ages welcome, one on one piano lessons. Classic, jazz, Folk, rock, R&B any style for beginner to intermediate student. I grow up in YAMAHA Music education in Japan. include dance, ear training, theory, singing, writing and performance. I know the process to make students to develop. Loved loved Shoko, my kids warmed up to her instantly! I have had a wonderful organ teacher, Shoko, for quite a few months. She is very patient, extremely pleasant and teaches very well. I learned quite a bit from her since I knew no organ playing at all at onset. May she have a long teaching carrier. You can learn to play on a pipe organ or electronic organ or your choice. 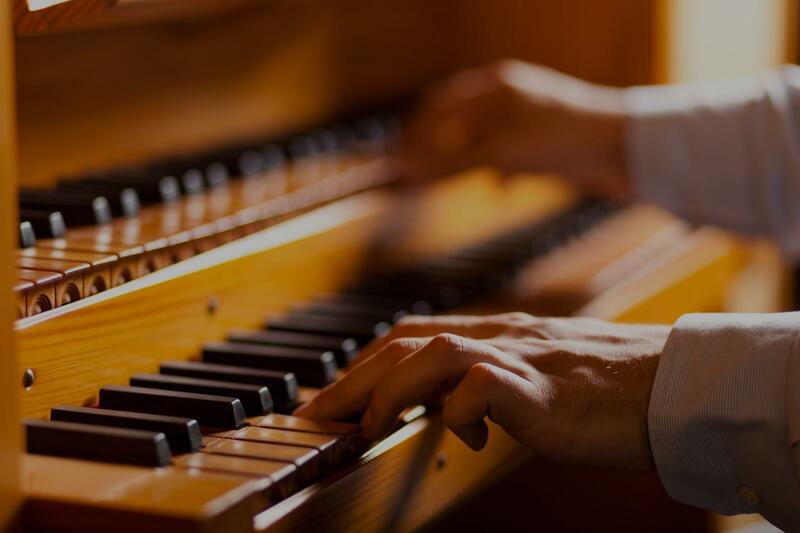 Being a Church organist and choir director since age 16 , I can help you to read the Hymnals and understand the liturgical services of many different denominations. You can also learn how to play popular music using all the sounds available on the keyboards and foot pedals. Hello, potential organ student. Are you ready to learn one of the most fascinating (and complicated) instruments in the world? There is a lot more to the organ than most think. Lessons on the organ will cover technique, repertoire, and a little about classical organ improvisation, an almost lost art these days. Feel free to ask me any questions you might have about lessons, availability, or just the organ in general. Talk to you soon! Want to get the best from your home organ, learn to play and learn what the features available can do to help you? I have been playing this instrument / style for more than 40 years and can not only teach all aspects of home organ performance but also the operation of instruments. Selecting the best sounds and learning how to get the best from the many features available is a key element to this type of instrument. Melodic playing, left hand chords and bass pedal technique plus music theory all available. I am friendly, patience, trustworthy, reliable and will come to your home and help you get the best from your instrument. I also teach home keyboard covering all aspects of both the musical and operational aspects of these instruments. This is a great introduction for beginners and in many cases lead to piano lessons. f all ages and all levels to improve their musical skills. He can teach all styles of music but has an expertise for Jazz (improvisation, jazz scales, chord structures, etc) Blues, American Song Book and artists such as Billy Joel, Elton John, Sting etc. He will come to your home and teach on your instrument which is very important. He will shape the tuition process to the individual needs of the student and looks forward to meeting and helping you reach your musical goals. As an adult in their 50's who failed music in junior high school, I never thought I could learn to play an instrument. I cannot say enough about how wonderful and patient Andy has been. Initially I was even more afraid because I remember how emotionless and stern my sister's piano teacher was back in the 1970's. Andy is more than personable and answers all questions in a way you can understand them when you know nothing about music. You never feel intimidated and rather you always feel encouraged. After four lessons I am really enjoying it and a lot of that has to do with the instructor! I would recommend him to anyone of any age who wants to learn piano. I am eight years old and Andy makes piano lessons so much fun!!!! I just love him. My kids like Andy so much. He's patience and knowledgeable. I'm glad to choose Andy as my kids' piano teacher. I currently direct music at a church where I play piano and organ. Please check out the rest of my profile for more details.